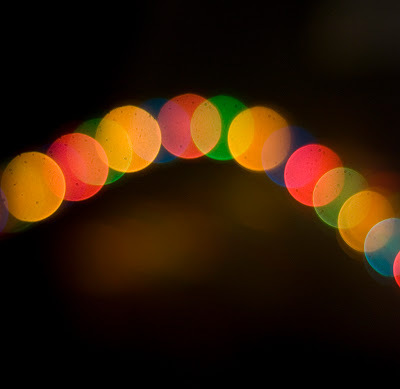 Amy from Montague captures amazing photographs like these holiday lights in New York. I always love the interesting perspective and quality found in her photographs. Lucky for us she also gives great photography advice. Don't you want to super size these dreamy photographs and hang them as art in your house? 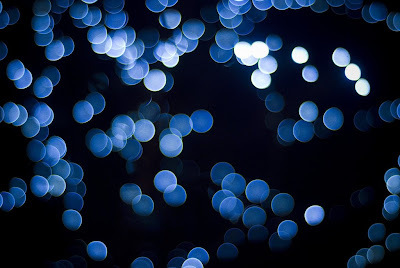 I do - one of my favorite holiday things to do is look at lights and squint, to make them blurry and extra-beautiful. Her blog is so lovely, isn't it? Lovely! 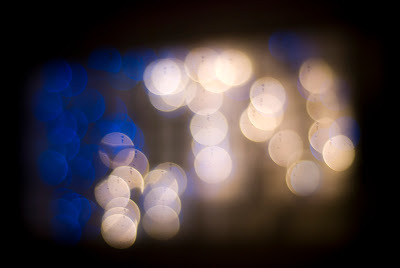 I took some blurred photos of our Christmas tree lights. Um...not quite so cool as these. :-) I think I need to head over to her blog for some photography advice! I love Amy's photography, and these are no exception! So dreamy...like staring out the window of a taxi whizzing down Broadway. Just beautiful. you're going to make me blush ;) i'm just glad you liked them! i love these. they look like confetti. Fab ... oh so dreamy... Like sara said... a whizzing taxi ride down broadway..
Oh how I would love to live in New York during the holiday season to see all the pretty light displays. These photos are gorgeous! these are so dreamy, gorgeous photos! Hi! I was tagged and now you're it! oh and yes, those are lovely photos! Amy is by far one of the best photographers around. Not only is she talented, she's as nice as can be! These are so festive, but I would love them all year round, too. I do love these. Especially that last one! I love Amy's photography and she's also one of the nicest bloggers out there! I was inspired by this post too and tried some shots with my Christmas tree lights after seeing that post. They are wonderful photographs, xv. So dreamy and beautiful! I love the first one the most. How serendipitous, i've been recently captivated by this sort of light abstraction too... I'm definitely going to check out the link - thanks! Most definitely yes (the answer to your question). I'd love to see NY during this time too!